How Do You Really Move The Needle On Your SEO? When talking about getting results for your SEO, we’re not looking at ranking a couple of positions higher. We’re talking about high-impact, results-driven improvements. To rank higher and get more traffic and sales for your business, we need to focus on the only ranking factors that actually move the needle. That’s it. 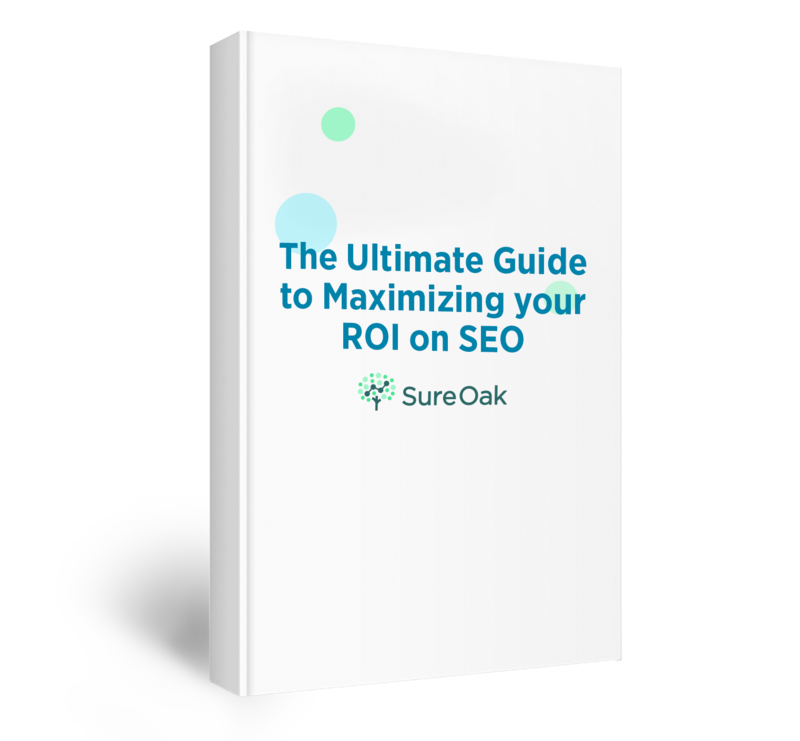 If you want to focus your SEO budget on the essentials that will drive substantial results, these are the three. Let’s examine each one. Everyone understands the importance of backlinks. But the actual, true KPI to focus on is referring domains. What is a Referring Domain? A domain is a website. A referring domain is another website that links back to your website. When we talk about a “referring domain” it allows us to distinguish between one website that has 20 backlinks to your website, versus 20 different websites that all individually link back to your site. If you get multiple backlinks from one website, it’s only going to count as one referring domain for your website. But if you have 20 different websites linking back to you, it’s now 20 referring domains (not merely 20 backlinks). Why are Referring Domains Important? Google knows that if your friend has a website or you own another website, you might try to game the system and have that website link back to your website 20 times. Therefore, since all of these backlinks are coming from the same website, Google counts this as like one vote (or super-vote) towards your website. But it’s significantly more difficult (and a much higher indicator of social proof) to get 20 different websites linking back to yours, and Google will count these 20 referring domains as 20 votes for your website. Therefore, having 20 different websites linking back to you is substantially more powerful, and Google weighs this much more heavily in their ranking algorithm. In fact, the idea of weighting backlinks and referring domains began with Google’s algorithm back in 1996. At the time, Larry Page famously “downloaded the web” onto his computer at Stanford University, crawled every backlink, and connected every other page that was on the web at that time. He came up with a innovative approach and new metric called PageRank. According to PageRank, if the Wall Street Journal had 100,000 referring domains, Google knew it deserved a higher ranking than another website that had only a few referring domains. In our first-hand experience, referring domains is the most heavily weighted ranking factor to rank higher and get more organic search traffic. After testing dozens of techniques to rank higher, referring domains has the most substantial impact on driving your ranking results. It takes significant time and effort to build up your profile of referring domains. Just a few referring domains won’t do anything. To be truly competitive, you want hundreds or thousands. This proves to Google that your site should be ranking higher, and they will definitely rank you. Google looks for validation and social proof that other websites view you as authoritative, trustworthy, and high-quality enough to link to you. In summary, you need more high-quality websites linking back to yours. How Do You Get More Referring Domains? You get more referring domains by creating phenomenal content, and getting it in front of the right people. Alternatively, you can learn about how to get .EDU backlinks here. Phenomenal content is highly impactful for your SEO. Afterall, this is what Google users are actually seeking: helpful information! Think about the last 3 times you used Google, and what you were looking for. Everyone else is searching for the same reasons. Generally, people use Google for reasons like: finding out more information, learning more about a particular topic, finding a restaurant, getting advice, etc. Everyone is using Google for reasons like these. Google doesn’t care about “sending you traffic.” Google’s primary goal is to serve their users and help their users find what they’re looking for. If you make Google’s ultimate goal — helping users find what they want — your ultimate goal too, Google will love you. Consequentially, Google will rank you higher because your have helpful and useful information for their users. You have to serve Google, not yourself. Google actually tells us explicitly what they’re looking for and who they want to rank. See for yourself in their Guidance on Building High-Quality sites from the Google Webmaster Central Blog. Our advice for publishers continues to be to focus on delivering the best possible user experience on your websites. Our site quality algorithms are aimed at helping people find “high-quality” sites. Even today, information on the web continues to grow exponentially. Anyone can create a website and start writing blog posts. There’s zero barrier to entry. What’s your competitive advantage? Why should Google rank your blog post on the first page instead of thousands of similar blog posts? How is your content any better? Keep in mind, Google’s ability to determine the quality, uniqueness, helpfulness, and usefulness of your writing has increased dramatically over the years. You can’t shortcut your way to success with Google. The real answer: Your content can’t be just as good as everyone else’s, or a little better. It has to be phenomenally better than everything else out there. This is your edge. Create content that is not only what people are looking for, but goes above and beyond in helping them, answering their questions, and providing them straight and direct answers to what they’re searching for. Say you’re writing “The Top Ten Tips to Reduce your Weight Now,” but everyone else is searching Google with the query: “How to Lose Weight Now.” If so, you’re creating your own friction that will keep traffic from coming to your website. While this may seem obvious, it’s shocking how many businesses make this simple mistake by not properly executing keyword research and optimizing. They don’t dive deeply and thoroughly enough to see the full landscape of keywords by topic and how they all relate to each other in groups. When you take optimization further, you want to have your content outline based around the main keywords on each topic, including the long-tail keywords as well as phrases. Your keywords need to be grouped, prioritized, organized, and then mapped to specific pieces of content that target these queries. This is exactly how we operate. You don’t want to optimize for just one or two keywords. You should optimize for dozens of keywords with one piece of colossal content. These phrases, synonyms, and words should be mentioned at least once in your content. You should optimize for dozens of keywords with one piece of colossal content. Of course, you shouldn’t over-optimize or keyword stuff either. But make sure you’re using the same language and wording that people will use when they search. Although Google is very smart, they still rely heavily on keywords being used within your page when they’re deciding how to rank pages. With this in mind, where are the four most important places to optimize your page? If it’s a new page, optimize the URL correctly the first time, because changing it in the future will drop your rankings for that page. For the page title, include your keyword naturally. For header tags, naturally incorporate those keywords and phrases. For the body text, make sure you get the long-tail keywords in there too. So again, get the keyword in there at least once, but do it naturally. It doesn’t have to be exact, because it should be optimized for users reading it. But, you do want your keywords mentioned in there at least once. These will do nothing for your SEO. To get the highest impact for your allocated budget, time, and resources, you have to invest wisely. If you truly want to make a dent in your SEO, you have to aggressively invest your resources into the highest-impact ranking factors and forget everything else. Do that, and you will make a substantial impact on your business’s bottom line. How well are you currently ranking? Try out our domain authority checker here.